Mr. Sinrich concentrates his practices in the areas of litigation and corporate law, including business, employment, commercial loans and leases and contract issues. Mr. Sinrich has litigated shareholder and employment disputes, cases involving professional and legal malpractice, and has handled many diverse matters involving insurance and environmental litigation. Mr. Sinrich has also represented clients in various real estate and lease matters. Mr. Sinrich earned his B.A. from Brandeis University in 1983, his J.D. from Boston University in 1987 and his M.B.A. from Boston University in 1990. 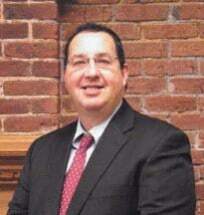 Mr. Sinrich is a member of the Association of Trial Lawyers of America, the ABA, the Massachusetts Association of Trial Attorneys, Massachusetts and Worcester County Bar Association. Mr. Sinrich has frequently lectured and also is involved in community and other pro bono work, and serves as a director of privately held companies.